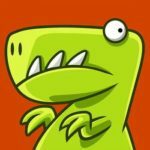 Jurassic World recently made quite an impact in theaters, introducing the world to the fictional, yet terrifying Indominus Rex. 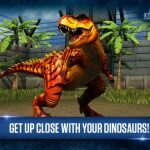 And it’s also no surprise that there’s also a mobile game based on the film, developed by Ludia for Android and iOS devices alike. 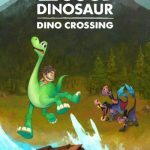 The game brings to life over 50 dinosaurs featured in the film, lets you hatch and evolve them, and also allows you to create buildings and landscapes you may have seen in the movie. You can even interact with the movie’s characters, and challenge other players to dinosaur vs dinosaur battles. 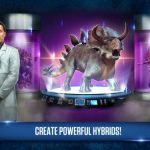 As we’ve already given you a Jurassic World: The Game strategy guide dealing with general tips, this one will focus on the ways in which you can get more DNA, which will allow you to collect more dinos and evolve them accordingly. You can buy card packs in Jurassic World: The Game, and a good number of them may contain some DNA inside. Free packs are available every six hours; otherwise, you’ll have to pay real money for them. This is a good way to get DNA in a pinch, and if you can’t wait six hours to get your next free pack, you can always try the time lapse cheat and advance your phone’s time accordingly. Not all missions will give you DNA as a prize, but there are some where you can get it by completing them. Check your mission rewards by tapping on the Missions icon; simply highlight the missions to check for the ones where you can win DNA. Tap on your total DNA found on the top of the main screen, and you’ll have a chance to tap on the “Get it Free” button in green. That’s going to load up an advertisement video, and once you’re done watching, you’ll get some DNA. Take note that this can only be done so many times in a day – you can’t repeatedly watch videos one after the other as a quick solution! At some point in the game, you may be overloaded with too many of one dinosaur – usually, this would be the Triceratops. Tap on the unwanted dino, then on the Sell icon; you’ll get some DNA back, but not as much as what you may have spent on it originally.